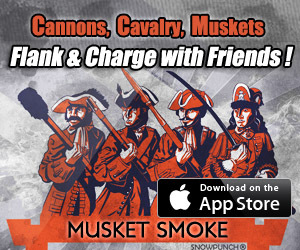 Official Musket Smoke ad image. 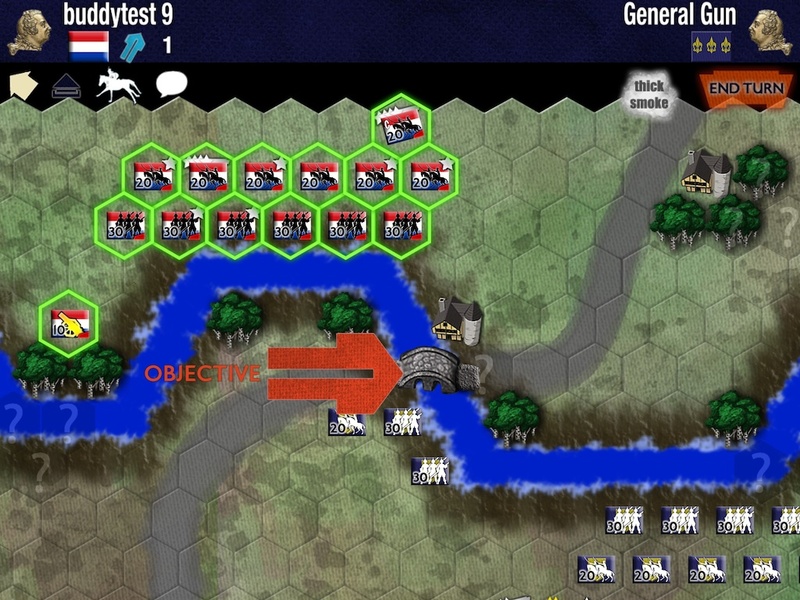 BroCast News – The Best Strategy Game You’ve Never Heard Of…Until Now! 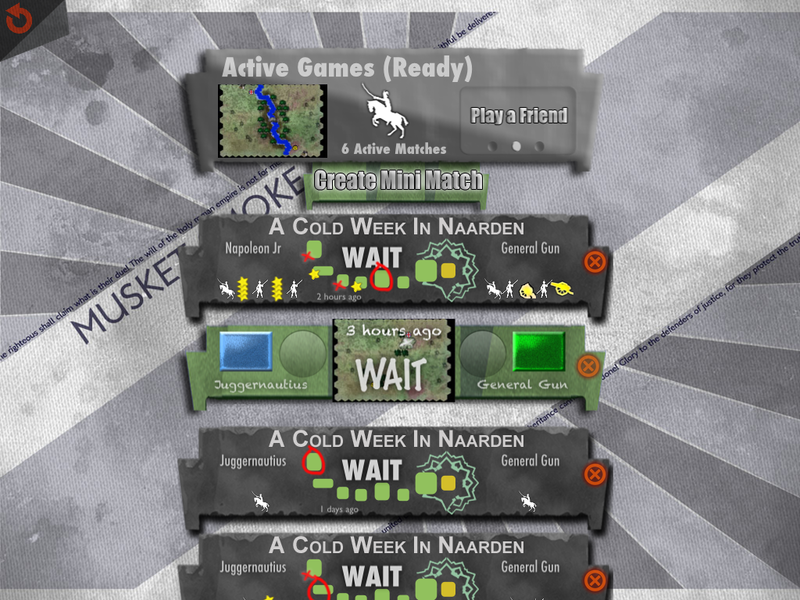 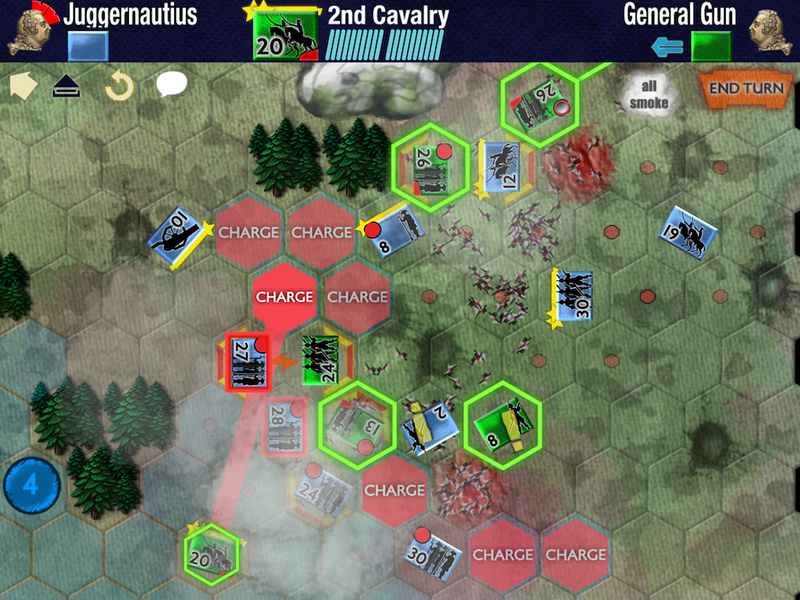 This game was designed ground up specifically for the iPad and and features a unique engaging UI experience that is a blast to play with.When units lock in melee they become ‘dramatically’ vulnerable to flanking units, musket fire, and mass death from cavalry charges and various styles of gory artillery hits. 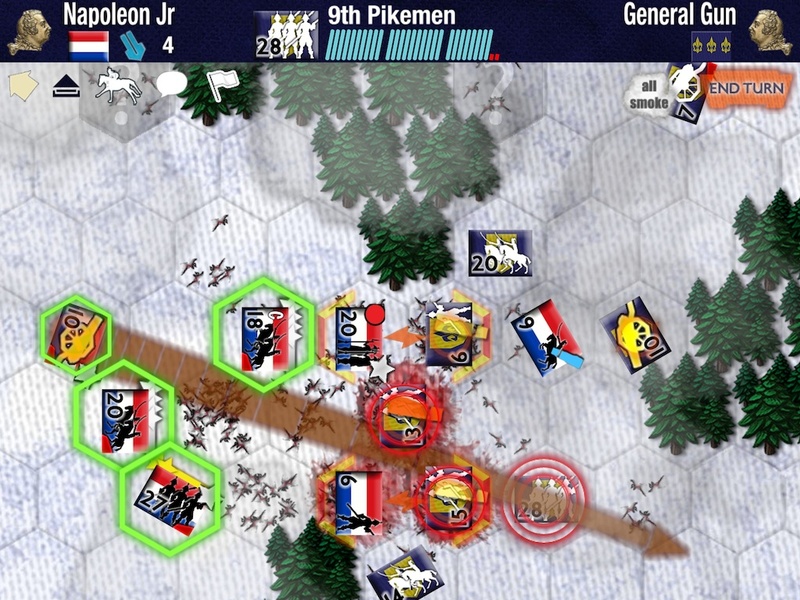 Position and movement is everything, even angles of fire are important as you need to prevent friendly fire (when possible). 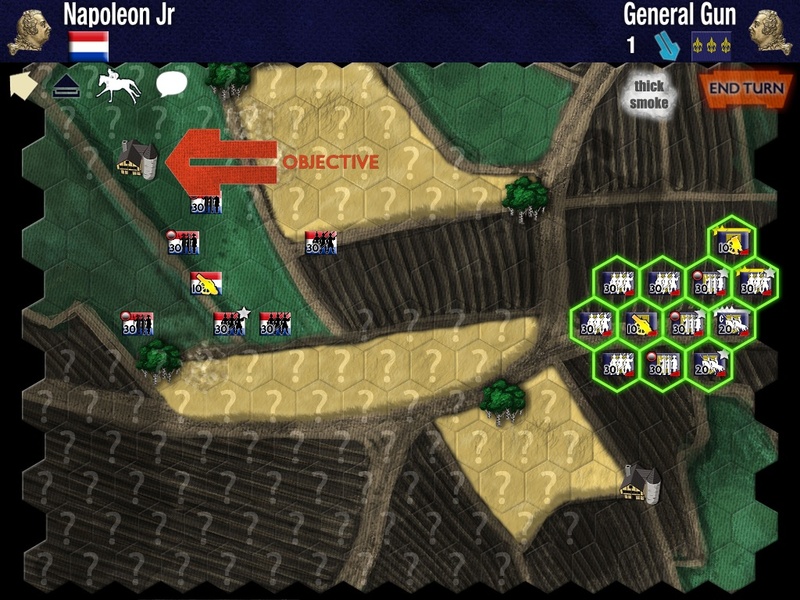 – Online campaign – mega match.The actual gameplay is simple, but there is no end to the depth.